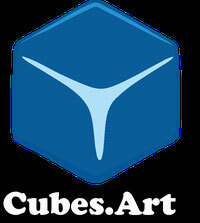 Welcome at CUBES.ART Chess Innovations! We are the innovative educational board game brand from Austria and offer you thoughtful, high quality products, made of environmentally friendly material - with proven customer satisfaction. Since 2015, Chess Junior has been used - very successfully - as a teaching tool to encourage talented youngsters in schools for highly gifted pupils and primary schools. Do you trade books or toys and are looking for new impulses for your product assortment? Then you are exactly right with us! Interested? Then visit us at the Nuremberg Toy Fair, January 30 to February 3, 2019 or register now without obligation and find out more about our top purchasing conditions. I have read the data protection declaration and agree on its content.